Islamabad, July 28 (IANS) Opposition party politicians were elated as the Pakistan Supreme Court disqualified Prime Minister Nawaz Sharif in a landmark decision on Friday in the Panama Papers case, the media reported. 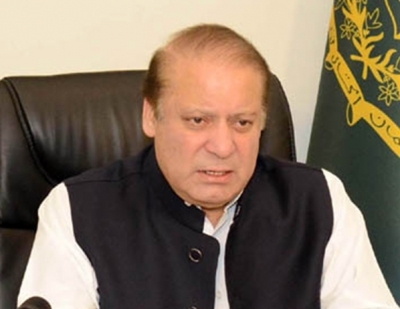 The apex court in April had declared there was “insufficient evidence” to oust Sharif over the graft allegations engulfing his family, and ordered a six-member JIT to probe the matter. The team of civilian and military investigators found there was a “significant disparity” between the Sharif family’s income and lifestyle, in its scathing report, the paper said. Justice Ejaz Afzal Khan, who headed the implementation bench, said all material collected by the Joint Investigation Team would be sent to an accountability court. He said cases should be opened against Maryam Nawaz (Sharif’s daughter), Captain Muhammad Safdar (Maryam’s husband), Hassan and Hussain Nawaz (Sharif’s sons) as well as Prime Minister Sharif and a judgement should be announced within 30 days.